We start rehearsing next week--YAY! Lisa, Marcy, and I just spent most of this morning working on rehearsal planning and we can't wait to see all of you! 1. You're practicing, right? Seriously, we weren't kidding. You need to be working on music, learning parts (Songbird! ), memorizing, etc... Did I mention you really need to be working on learning parts for Songbird? (use the website...). Everything else is also important--we just know Songbird will take the most work. 3. Remember to come on time next week (which means come 5-10 minutes early), bring a lunch and a water bottle, put your music in a black binder (and bring it) and be ready to work hard, have fun, and get ready for SCOTLAND! 4. 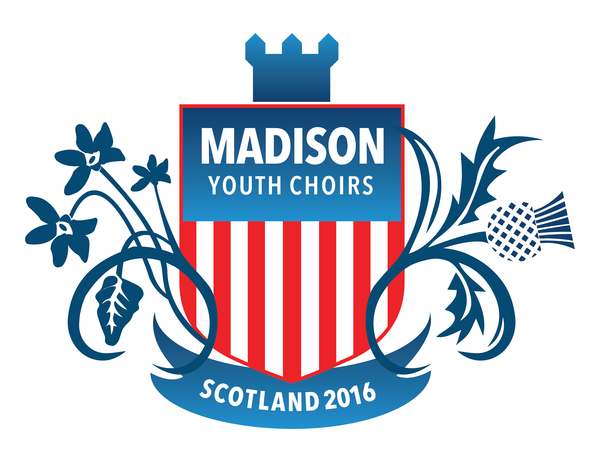 Make sure you know when rehearsal starts and ends and where rehearsals are next week also--check the rehearsal calendar on the website (madisonyouthchoirs.org/aberdeen).